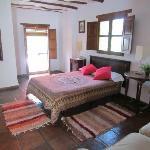 Nice traditional room with big terrace balcony where we enjoyed the view on the Alpujarras and star sky at night. 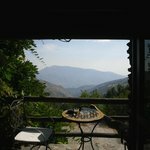 It is a bit of a drive outside of Capileira, but well worth it! 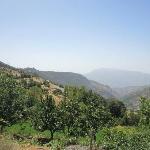 Quiet and rural environment, nice host and you can start one of the nicest hikes from the hotel. 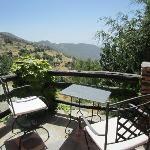 There's also a small swimming pool if you like to relax a bit more on the property.